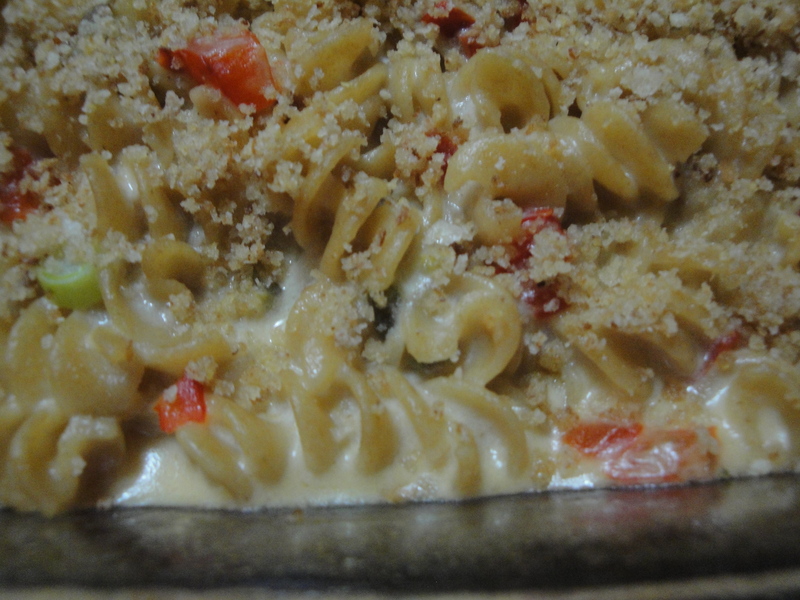 Making macaroni and cheese from scratch is nothing new to me. I never even tried boxed macaroni and cheese until I was in college. I remember saying “Why would you buy boxed macaroni and cheese when you can make it from scratch?” My mom always made it from scratch on the stove and she never baked it in the oven or covered it in bread crumbs. Now that to me is how macaroni and cheese should be. That being said, this Two-Pepper Rigatoni and Cheese is not like my mom’s. But I was willing to give this a try because it reminded me of the most delicious jalapeño pepper pasta dish I had early this summer at Amis, a restaurant in Philadelphia. So, I thought this might be a good make-at-home substitution. I’ll be honest, it isn’t. BUT I have to admit that it’s probably my fault. 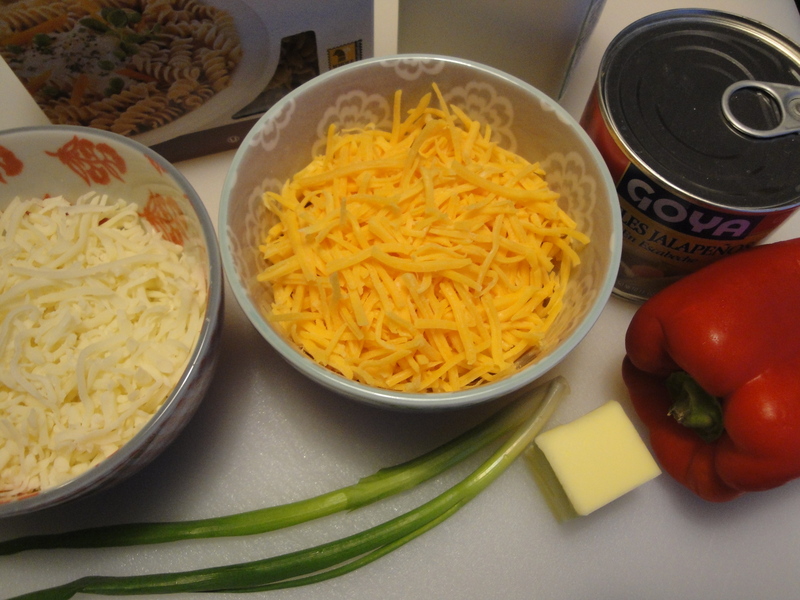 In typical Shannon-fashion, I used reduced-fat cheese instead of the full-fat cheese the recipe calls for. Therein lies my problem. If you’ve ever made cheese sauce from reduced-fat cheese, you’ll probably know that it tends to get gritty when it melts and doesn’t have that smooth creaminess that comes from real cheese. I knew better. Looking past that, I think I have come to decide I’m not particularly fond of pickled jalapeños. If I were to make this dish over again, I think I would use a fresh jalapeño pepper and sauté it with the red pepper instead. And, of course, I would use real cheese. 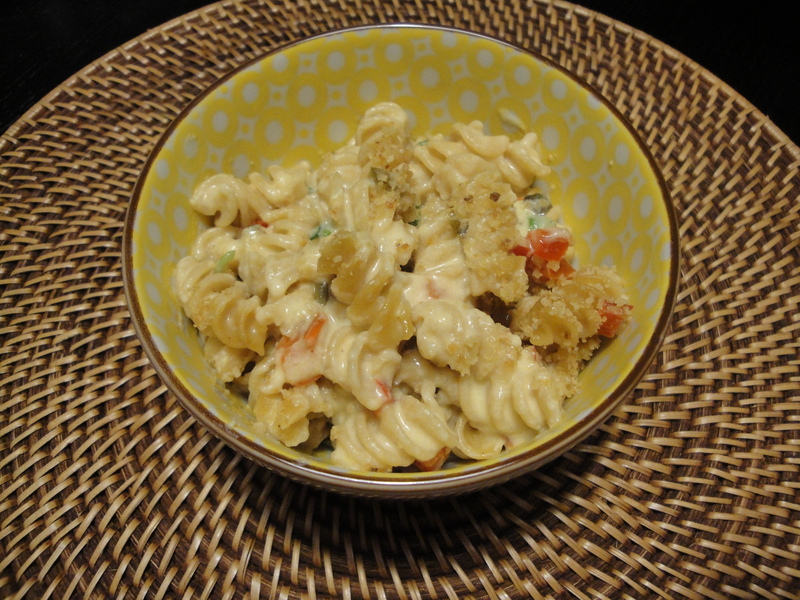 There are a lot of dishes that can be made into “lighter” dishes without sacrificing flavor…macaroni and cheese, in any form, should not be one of them. Lesson learned! Prepare pasta according to package directions and drain. 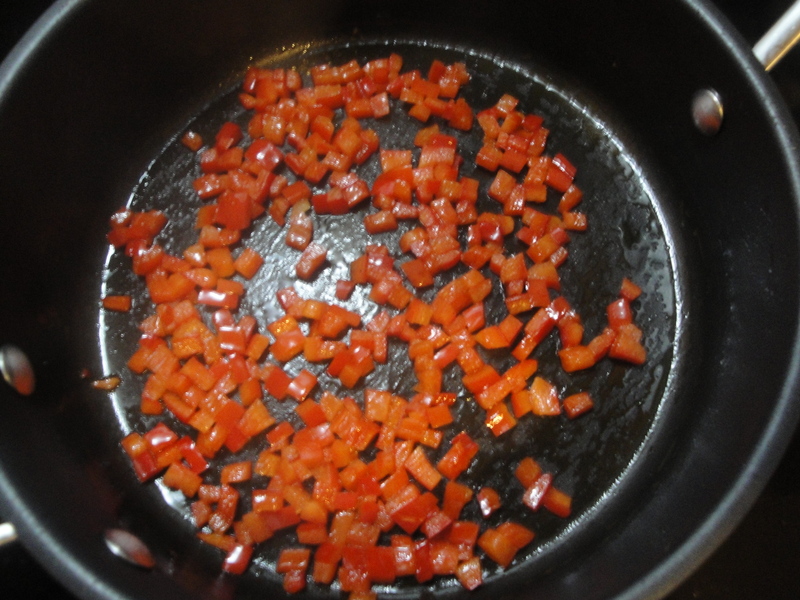 Melt butter in a pan and sauté chopped red pepper. 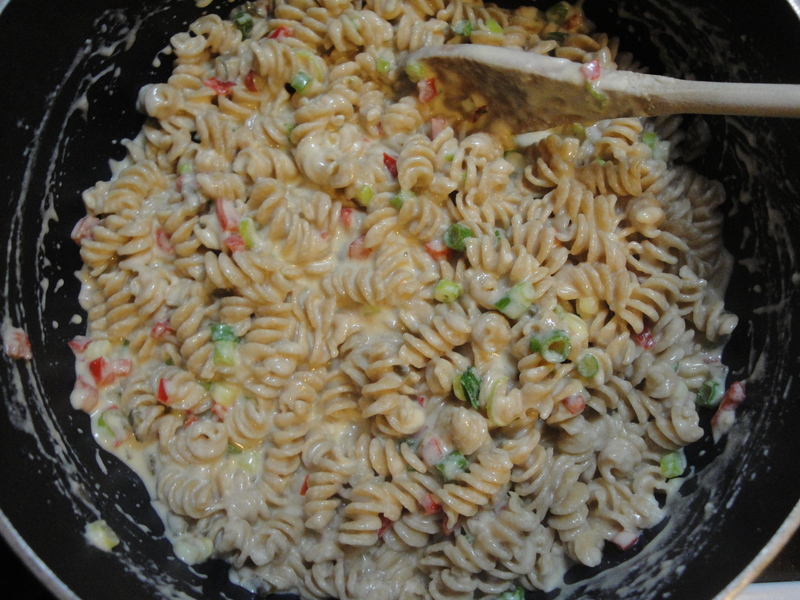 Once softened, add the red pepper to the drained pasta and set aside. Using the same pan used for the pepper, add in flour and milk and bring to a boil, stirring constantly. 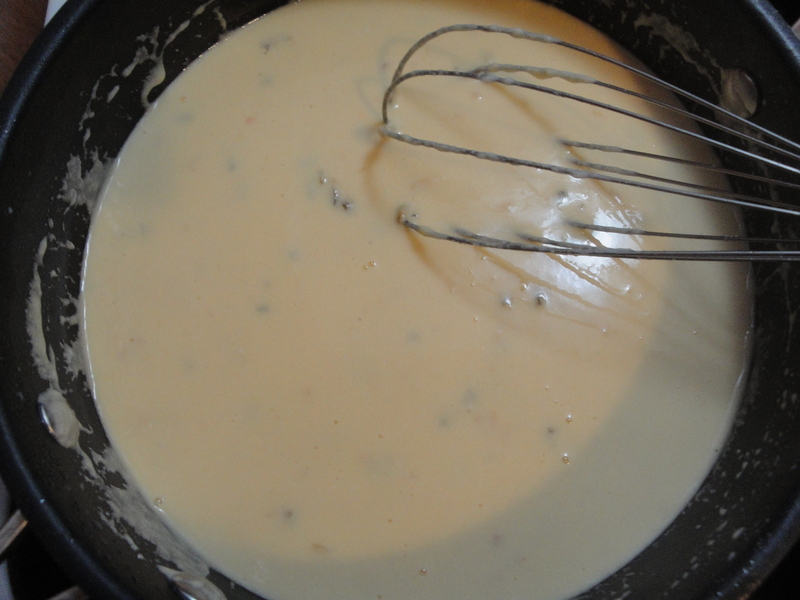 Once milk is thickened, stir in both cheeses, pickled jalapeños, and salt. 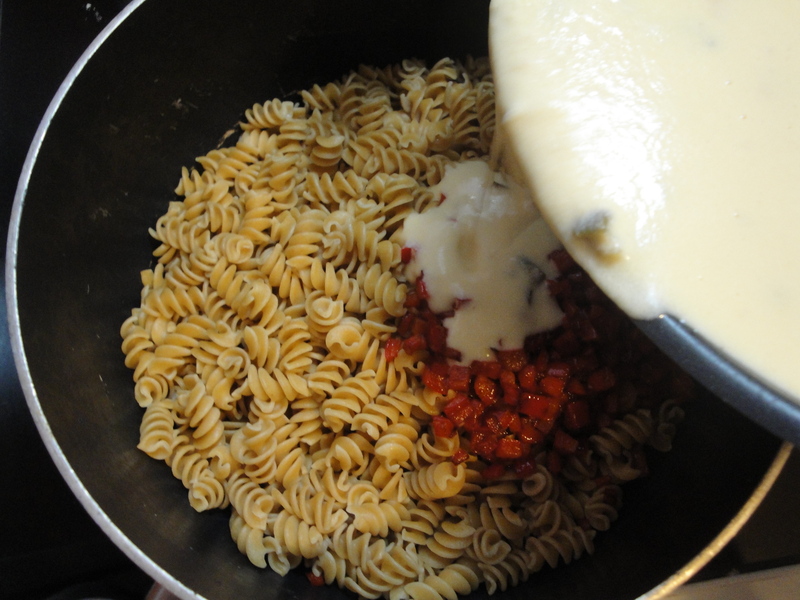 Carefully pour the cheese sauce over pasta and red pepper. Stir to combine and add in green onions. 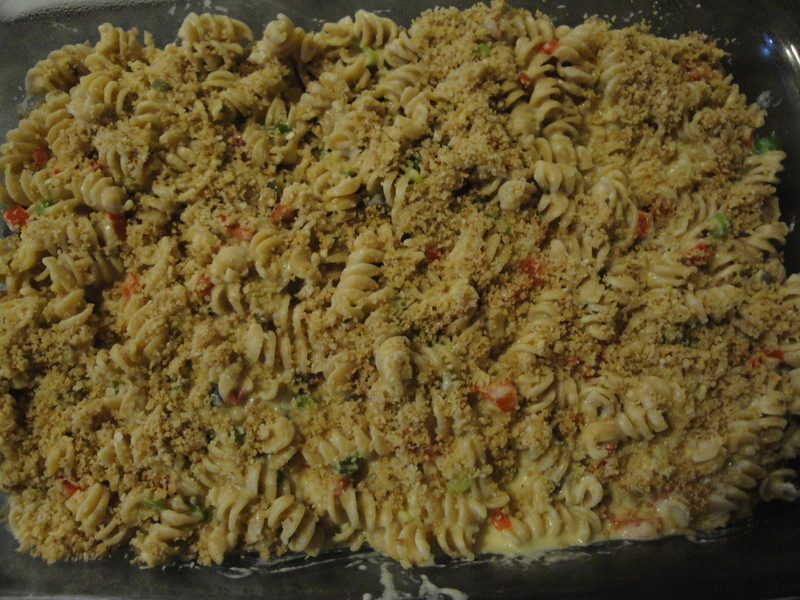 Pour the pasta into a baking dish coated in non-stick spray and sprinkle with breadcrumbs. Bake at 375°F.